Hinton was born in Santa Monica, California. His father, actor Edgar Latimer "Ed" Hinton, Jr. (1927–1958), was a native of Wilmington, North Carolina. Ed Hinton's father, Edgar Latimer Hinton II, Sr. (1868-1934), owned the Seashore Hotel  which had one of the first steel piers for entertaining over the ocean  in nearby Wrightsville Beach. He operated the only laundry business in Wilmington and was a community actor there. Ed Hinton appeared in the role of Special ... See More Agent Henderson in the 1950s syndicated television series I Led Three Lives, starring Richard Carlson and based on the espionage activities of Herbert Philbrick. Ed Hinton, particularly active in television Westerns, perished in an airplane crash on Catalina Island, when Darby was 14 months old. His mother, Marilynn Hinton, of German extraction, never remarried. Darby, therefore, became personally close to Fess Parker, his Daniel Boone "father"  and subsequently a Los Angeles, Santa Barbara area businessman. Hinton has two sisters who were child actors, Daryn Hinton and Darcy Hinton Cook. Darby Hinton was also a godson of actor Charlton Heston and former Arkansas Lieutenant Governor Winthrop Paul Rockefeller, son of former Arkansas Governor Winthrop Rockefeller. Hinton was a Bel Air Road friend and neighbor of Zsa Zsa Gabor and former president Ronald Reagan, and childhood friend of Jon Provost of the Lassie series. Hinton attended high school at the American School in Switzerland (TASIS) in Lugano, Switzerland after attending Emerson Junior High School in West Los Angeles for the ninth grade. He began college on a cruise ship, the World Campus Afloat Institute for Shipboard Education, which travels around the world to study different cultures. Hinton returned to California to continue his studies at the Church of Christ-affiliated Pepperdine University near Malibu.Hinton's acting debut at the age of six months old was in the arms of Jayne Mansfield in the TV show "Playhouse 90". In 1962, he played Jafar Mainwaring, a child character in the 1962 film Hero's Island. In 1963, he was cast in an uncredited role in Walt Disney's Son of Flubber and as Rocky in the episode "Getting Ed's Goat" of CBS's sitcom, Mr. Ed, starring Alan Young and Connie Hines. Shortly before he was cast as Israel Boone, Hinton appeared as Benjie Diel in the 90-minute episode "The Ben Engel Story" of ABC's Western series Wagon Train. He went on to appear in numerous features and television shows. One day his mother dropped him off at Twentieth Century Fox (dressed in knee high socks and lederhosen) to audition for a role in The Sound of Music, and the boy unintentionally got lost. He wandered into the wrong line of kids; by the time his mother found him, Darby had turned in his lederhosen for a coonskin cap to play Fess Parker's son Israel, on Daniel Boone, for the next six years. 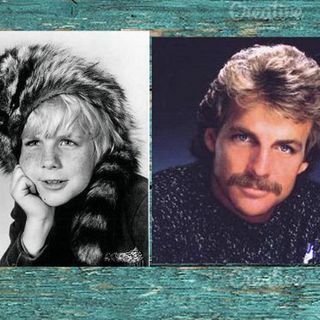 He appeared in 51 Daniel Boone episodes beginning with the September 24, 1964, premiere, "Ken-Tuck-E", a reference to Kentucky, the setting of the series. Patricia Blair played his mother, Rebecca Boone, and Veronica Cartwright played his sister, Jemima Boone. Ed Ames and Dallas McKennon co-starred as the Cherokee tribesman Mingo and innkeeper Cincinnatus, respectively. Hinton's last Daniel Boone roles, filmed when he was 12, were in the 1969–70 season: "A Very Small Rifle", "The Road to Freedom", "The Printing Press", "Target Boone", "Hannah Comes Home", and "Sunshine Patriots". After Daniel Boone, Hinton acted only occasionally, with appearances as Hal Parker in "This Will Really Kill You" (1970), of NBC's The Bold Ones: The New Doctors and as Tom Woods in "Legacy of Fear" (1971) of ABC's Owen Marshall: Counselor at Law. He appeared in an episode of The Big Valley which also included a young Richard Dreyfus, as James Scott in "How to Steal a Submarine" (1975) of CBS's Hawaii Five-O, starring Jack Lord, and as Buddy Moran in "Beauty Knows No Pain" (1981) of CBS's Magnum, P.I., starring Tom Selleck. In 1982 and 1983, he appeared in two episodes of ABC's The Fall Guy starring Lee Majors. From 1985-86, Hinton was cast as the second "Ian Griffith" on NBC's daytime soap opera Days of Our Lives. He was named in the starring role of Cody Abilene in the 1985 Andy Sidaris film, Malibu Express. In 1988, Hinton appeared in the first episode, "Road Ranger", of the short-lived NBC series The Highwayman, starring Sam J. Jones. Hinton's later appearances were on NBC's Hunter, starring Fred Dryer, and CBS's Knots Landing. He also appeared in the 1991-92 series P.S. I Luv U starring Greg Evigan and Connie Sellecca. He guest-starred, too, on Fox Television's Beverly Hills, 90210 in the role of a physician. His last screen appearances were on March 16, 1999, in the episode "Career Day" of the Warner Bros. series Rescue 77 and as Mikey's father in the 2003 film Just for Kicks.